ManTech International (Nasdaq: MANT) has purchased Owings Mills, Md.-based health information technology services contractor Edaptive Systems for an undisclosed sum to add new agile software development and business intelligence offerings in the federal healthcare market. 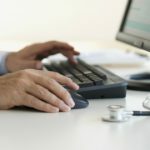 ManTech said Monday it expects the deal to help increase earnings in 2017 and also help increase the company’s presence with the Centers for Medicare & Medicaid Services as Edaptive holds a prime position on CMS’ potential 10-year, $25 billion Strategic Partners Acquisition Readiness Contract vehicle for IT services. Edaptive also is a prime contractor on the National Institutes of Health‘s governmentwide CIO-SP3 vehicle small business portion awarded in 2012 for a potential 10-year term. Tysons, Virginia-based investment bank KippsDeSanto & Co. advised Edaptive on the transaction. Marc Marlin, a managing director at KippsDeSanto, told GovCon Wire his team remains “bullish on health IT” as a market for acquisition activity as prospective buyers view the sector as one that offers growth among customers in the federal and military health communities. “Health initiatives are top of mind for the provider, payer and patient, and technology will play a key role in health care transformation amongst these stakeholders, ” Marlin said. Edaptive was founded in 1999 and also provides testing, automation and data abstraction services to federal health agencies and the Department of Homeland Security. At least 250 Edaptive employees will transition over to ManTech’s mission solutions and services group led by President Dan Keefe.